Holly Lodge CC has been granted £6,850 Community Infrastructure Levy (CIL) monies by Camden Council. This will provide improved facilities for the Centre, including computers for homework club, improved access for older or less able residents, new planting for the community garden and replacement of worn out fittings such as dining chairs and tables. These will enable new activities, as well as established vital services for residents like the lunch club. Find out more here. Holly Lodge’s success has inspired us to work even harder on our other CIL projects – see the full list here and do let us know if you would like to help with any of them. TfL has launched a consultation about reducing various bus services, including the 271 night bus. Find out more and have your say here. 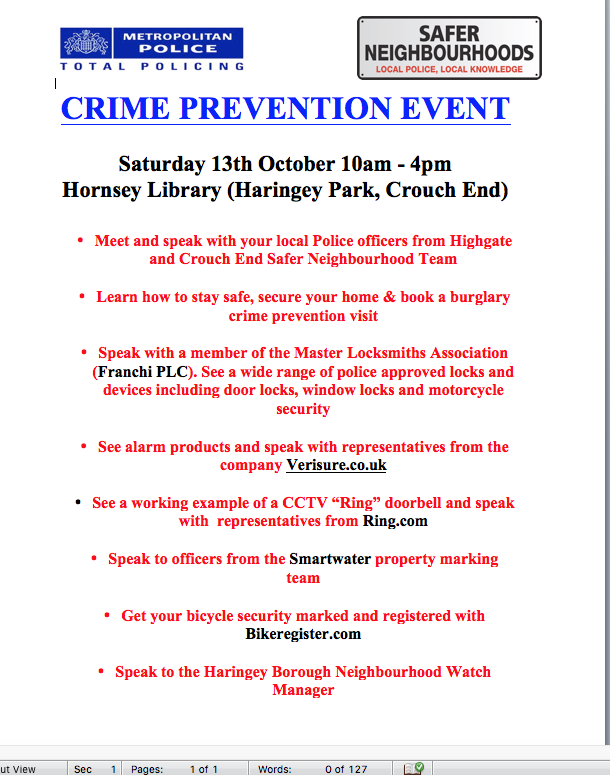 The local Police Safer Neighbourhoods Teams are organising a crime prevention event this Saturday (13th) between 10am and 4pm at Hornsey Library in Haringey Park, Crouch End. Find out more here, as well as how you can receive their regular newsletters and report crimes. Explore the magic and colour of the Wood in October. Join us on Saturday, 20 Oct between 11am and 1pm for guided walk to the secret parts of Queen’s Wood, led by Prof Jeff Duckett, a botanist based at the Natural History Museum. Meet at the Highgate Library on Shepherds Hill, bring cameras and suitable clothes and shoes. More information from a member of Highgate Library staff or email info@forhighgate.org. 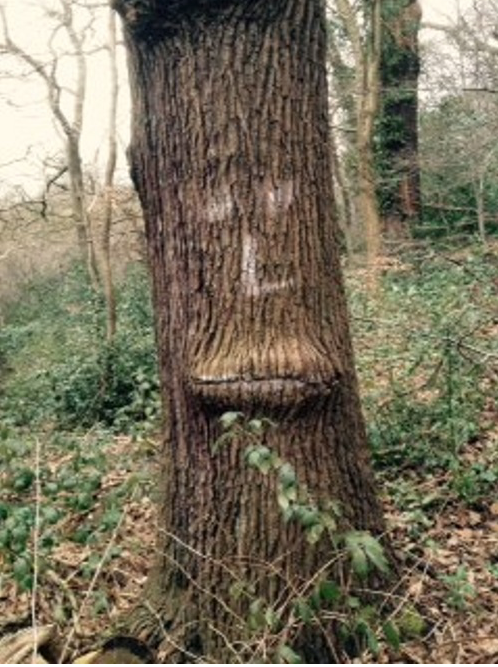 For all the events in Highgate, check out the Highgate Calendar. We plan to produce this newsletter regularly in future, so do let us know via info@forhighgate.org if you want us to include a campaign or an event you are running.